Inquire about other private custom shore excursions. Naples Shore Excursions Include: Our private Naples shore excursions to Pompeii include private transportation for full day, special licensed tour guide for Pompeii and Naples, entrance tickets, taxes, toll, parking. 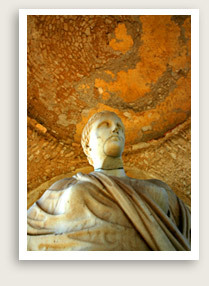 Optional Services: You can also take an Optional Tour of the Archeological Museum in Naples – a good complement to your Pompeii tour as the museum includes many important treasures from Pompeii. This private shore excursion from Naples begins with a short walking tour of Naples, where you will see the beautiful squares, palaces, an old fortress and ancient Roman remains for which this city is known. You can opt to have lunch at one of our favorite seaside haunts for pizza — Naples was the birthplace of that much-loved food. 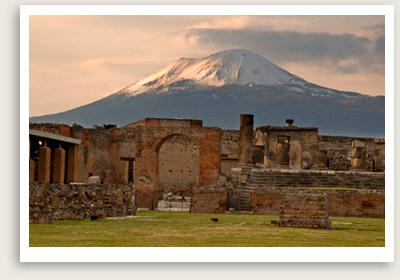 Your licensed Pompeii tour guide will then take you to the lost city of Pompeii. Thirty feet of hot mud and volcanic ash buried this Roman city completely when Mt. Vesuvius erupted in 79 A.D. Your Pompeii tour will be conducted by a local guide who will take you through this once-prosperous city, established in 12th century B.C. You will see villas, baths, storefronts, houses, pizza parlors, forum and other artifacts from Pompeii’s heyday.